There is a mystery at the heart of the new “The ABC Murders.” And not just the one about serial killers in merry old Depression-era England. 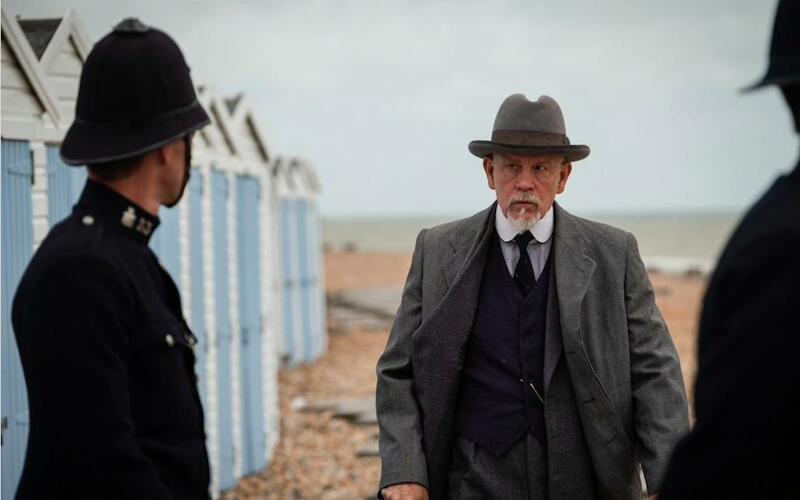 Taking on Poirot means taking on a character who has been played by everyone from Orson Welles to Albert Finney to Peter Ustinov to David Suchet. He has been ubiquitous, and caricatured, seemingly forever. “Even Christie got sick of him,” Ms. Phelps said in an interview with America. “He’d become a series of tics and affectations.” But even a lot of devoted fans would have to confess to not being quite encyclopedic on Poirot. Taking on Poirot means taking on a character who has been played by everyone from Orson Welles to Albert Finney to Peter Ustinov to David Suchet. At the same time, she wanted to get at who Poirot was, besides (as Christie implied) a devout Catholic, a refugee from 1914 Belgium and a walking catalogue of mannerisms and trademark haberdashery. Why, she wanted to know, was he so relentless in his pursuit of the guilty? Why did he “honor the body on the floor,” and so compulsively move from one murder to the next, through 33 novels and dozens of short stories? In brief flashbacks that appear in each of the three installments of “ABC Murders,” Poirot re-experiences his final days in Belgium, as a country priest who is beaten unconscious while his church full of parishioners is set ablaze by invading German troops. Only in the last moments of the series is Poirot’s tragedy revealed, though there are clues along the way—the prie-dieu he keeps in his bedroom, for instance, along with a Marian shrine. Needs be a "Poirot Companion" as there exists for P.G. Wodehouse's literature. Visitors to London seek out Hercule's abode in the Suchet series. This article also appeared in print, under the headline "The Catholic past of Hercule Poirot," in the March 4, 2019 issue.